NeuroMed Is Next Generation Technology That Helps Pain. Even For People That PT, Chiropractic, Acupuncture, Medications, Epidurals and Surgery Couldn’t Help. NeuroMed ElectroAnalgesia (EA) uses sophisticated, computer generated High Definition Frequency Stimulators that range between 8,300 to 10,000 cycles per second. These high frequencies are able to give serious pain relief and promote healing even in cases that do not respond to medications, epidurals and even surgery. A typical treatment at our office can last from 20-45 minutes. 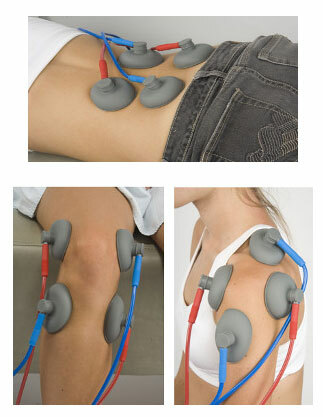 Treatments are not painful and most patients notice less pain within the first 2 weeks. *Please do not confuse this with a standard TENS (Transcutaneous Electric Nerve Stimulation) that you may get during physical therapy. While we do offer TENS at our office… TENS can only help for minor issues and can only deliver stimulation that ranges between 1 to 250 cycles per second. NeuroMed’s High Definition Frequency Stimulators produce frequencies as high as 10,000 cycles per second. If you have pain (even if nothing else is helping)… NeuroMed is one of the most effective, non-surgical, drug-free, pain relief treatments available anywhere. To find out if you are a candidate for this treatment, call us today at 561-369-0808.